I spend a considerable amount of time each week browsing the web and reading the news so I can find items that I think will be of interest to readers of this newsletter. Naturally, much of the "chatter" since our two recent hurricanes, has been about emergency communications. 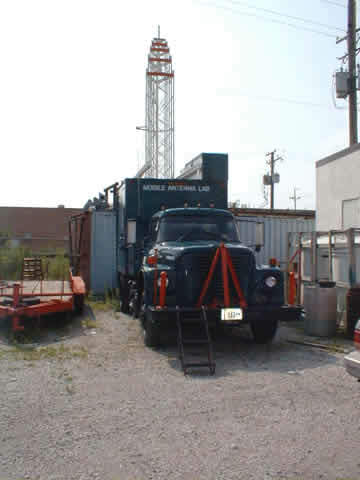 It seems like everyone involved in communications—wireline or wireless—is promoting some "solution." I think much of this activity is being clouded by the profit motive. Naturally, I would like to see a national early warning system revitalize the finances of the Wireless Messaging and Paging industries, but I sincerely believe that even if none of us makes an extra penny, our technology offers many advantages over all the others. I don't want to sound like a broken record (remember L.P. records?) but simulcasting and one-to-many group calls to common capcodes are simply the fastest, most reliable, and most economical way to get warnings and then recovery messages out to millions of people. The shocking thing about all of my reading this week is that Paging never gets mentioned as a possible solution. A+ Contact Wireless gets the A+ this week for their Wireless Sprinkler Control project in New Mexico using equipment from Nighthawk Systems. This is an excellent example of the types of incremental business that Paging companies should be pursuing. Here are two videos that you can download from their press conference with the governor of New Mexico. One in English and one in Spanish. Congratulations to Jon Word and everyone at Contact Wireless, SelectPath and Nighthawk Systems. Good job! The feature article this week is a new whitepaper by Ron Mercer: The ReFLEX™ Advantage In Homeland Security/First Responder Applications. This is an important paper from an industry veteran who is highly respected by all who know him. I may be a little biased since he is my friend and mentor. You will find his paper about half-way down, in the middle of the newsletter. This document, along with the others that he references, are just the kind of thing that we want the new FCC independent expert panel to consider before they make their final recommendations to the Commission regarding ways to improve disaster communications. Anyone who can help to facilitate this would be doing a great service to the Paging Industry and to the country as well. A familiar modern phrase is window of opportunity. It may even be considered trite by now, but it does describe our situation in Wireless Messaging. We have a unique opportunity RIGHT NOW that may not have ever existed before. That is, there is great pressure on the US government to do something meaningful about warning the public of impending danger, and they may be willing to listen for a change. The "window" will quickly pass us by if we don't do something. You can help by writing letters, sending e-mails, and making phone calls. VOIP—How do you transfer a paging carrier to a VOIP carrier? This session will review the equipment, personnel, strategy, profit margin, and vendors needed to make the transition from a paging carrier to a VOIP company. We will give insight to how we have built a successful VOIP company and what exit strategy is for a small VOIP/CLEC. Companies are moving to Internet delivery of communication instead of traditional mailing of invoices and statements. BIT Statements can quickly add Internet delivery, saving company's up to 75% of the cost of invoicing through the mail by incorporating E-Statements and Bills. Additional services include targeted marketing campaigns placed within the invoice both paper and electronic, based upon data criteria or custom account listing. Motorola and Microsoft will jointly develop and market software for emergency first responders, the companies announced today. The alliance comes as government and IT leaders examine ways to prevent the kinds of communication breakdowns that recently hampered hurricane rescue efforts along the Gulf Coast. While Katrina and Rita raised awareness of real-time data transfer and system interoperability problems, public safety and defense officials have been looking to make improvements since Sept. 11. Motorola and Microsoft believe the new pact is a step in the right direction. They said tying together various software on a common platform will eliminate the need for local, state and federal agencies to cobble together information-sharing networks—a costly and technically daunting task. Under today's agreement, the mobile specialist will build applications on the software giant's .NET and Windows Server Systems platforms. Motorola will shift its records management system software first, then begin new software projects. "Mission-critical environments demand unparalleled reliability and continuous data access. The Microsoft platform allows us to meet, even exceed, those demands," Timothy Boyle, Motorola's vice president of business development, said in a statement. Schaumburg, Ill.-based Motorola already has a number of government customers for its software and wireless networks, including: Washington, D.C., Broward County, Florida, and the Commonwealth of Virginia. "Microsoft recognizes and takes seriously the growing challenge to law enforcement, first responders and emergency management officials to communicate vital information in real-time," said Tom Richey, Microsoft's executive director of Homeland Security for the Worldwide Public Sector. The companies did not disclose the duration or the dollar value of the new partnership. Despite 9/11, the wreckage of Katrina and the messy evacuation of Houston, this nation still has no way to use the most effective communication system in history to get information during disasters to the people who need it. 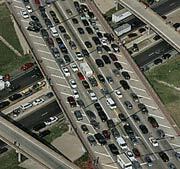 Cars jam Interstate 45 during the evacuation from Hurricane Rita on Sept. 23. Wireless networks saturate just about every populated area of the country. The signals reach nearly 200 million cellphones and wireless e-mail gadgets. Even when the networks become jammed and can't handle voice calls after use spikes during a catastrophe, the relatively few bytes of data in text messages usually get through. It's a no-brainer: Wireless text should be the basis for an emergency information system. From the time I was a kid, I knew about the Emergency Broadcast System for television because that test pattern and strange beep would interrupt Speed Racer. Now, with text messaging, we've got a much better way to tell people what's going on in the midst of an attack or hurricane or earthquake—except the government has yet to create any system to use it. Starbucks has a wireless text system in place to warn its employees and give them instructions in emergencies. Might be nice if the U.S. government jumped in with something similar and made the world safe for more than just baristas. "It gets my blood boiling, because the infrastructure is already in place," says Greg Wilfahrt, co-founder of mobile messaging company SMS.ac. "Bottom line is, it's going to save lives." Oddly enough, on the very day that cars sat for 15 hours on snarled highways leading out of Houston, two members of the U.S. Senate—Jim DeMint, R-S.C., and Ben Nelson, D-Neb.—introduced a bill called The Warning, Alerts and Response Network Act, or WARN Act. It proposes to "establish a network for the transmission of alerts across a broad variety of media." That includes cellphones, BlackBerrys and—for towns with no cell coverage—sirens. Missed the news of that bill? Don't feel bad. It got less publicity than that day's shooting of a black bear in a carport near Juneau, Alaska. Which, unfortunately, may reflect the bill's chances of passage. A somewhat similar bill introduced in 2003 never got anywhere. If this one fizzles, too, political leaders should be ashamed. Look how this could've worked as Hurricane Rita bore down on Houston. Millions were told via TV and radio to get out of town. So they did—and wound up creating the world's most gargantuan traffic jam, made worse as cars ran out of gas. Sure, those cars had radios that could receive news reports or announcements. But radio is a mass medium that delivers broad information. Most of those people also had cellphones that could've delivered timely, targeted text updates. A federal emergency alert system would probably require you to opt in and enter your address. That way, the system could send you information about what's happening where you live. Perhaps it would tell some people they're safe to stay put, easing the traffic for those who must leave. If you're already on the highway and in traffic and out of fuel, the system could let you text in your location—"Interstate 10, Frydek"—to learn if you're in immediate danger or if gas trucks are on the way. Had a Category 5 hurricane actually rolled over the Houston traffic jams, text alerts could have let those panicking people know where to go for shelter. Of course, a storm could knock out wireless service. But so far, text messaging and wireless e-mail have proved amazingly hardy. Text-based services kept working during Rita in Houston even when voice traffic couldn't get through. Text kept working after Katrina in New Orleans, where employees of juice chain Smoothie King used text messaging to find each other and start reopening stores. On another level, Finland has been experimenting with ways to send disaster alerts to Finnish cellphones anywhere in the world. The first went out right after January's tsunami. Finns traveling in Thailand and Sri Lanka got text messages about where to go for aid. That happened because the idea came up at a government meeting, and "The whole thing was coordinated right there," says Yrjo Lansipuro of Finland's Ministry of Foreign Affairs. "The Finnish Telecommunications Regulatory Authority issued an order to all Finnish mobile operators to send our message. Another advantage of being a small country where people in different bureaucracies know—and talk to—each other." If only it were that easy in the USA. Finland has basically one wireless standard; the USA has a salad bar of standards. But that matters less these days as companies such as Mobile 365 pop up to translate text messages from one carrier's standard to another. Technology shouldn't be a major issue. Still, there are other tough issues, such as: Who's going to be sued if an alert doesn't get through? "If you're on a beach and a 300-foot wave is coming, that message better get there," says SMS.ac's Wilfahrt. "I'm not sure the industry is ready to guarantee 100% that you're going to get that alert on your phone. So there's some unwillingness to take responsibility." Government-watchers raise different questions, such as, who would decide what messages to send to whom? Unlike free e-mail over the Internet, wireless text messages cost a few cents to both send and receive. Who will pay those fees? Taxpayers? Users? Will the carriers waive them? Privacy, security, hacking—all are worries. Nobody was going to spoof the Emergency Broadcast System and send false alert messages to millions of TVs, causing a panic such as Orson Welles' War of the Worlds radio broadcast. But a hacker might be able to do that with a text message. Yet, how can the nation—and the rest of the world—not do this? Let's follow Finland and Starbucks and make sure the next terrorist act or natural disaster isn't also an information disaster. Editor's note: It is disappointing to read a well-thought-out article like this that makes no mention of Paging. East Hanover, NJ—October 5, 2005: Comverge, Inc. announced today that Mr. Bill Pristupa has joined Comverge, Inc.’s Solutions Group as the Senior Director of Supply Chain. Mr. Pristupa will manage Comverge’s Global Manufacturing Operations. Mr. Pristupa comes to Comverge from a distinguished career at Motorola, Inc. where he most recently headed up a Global Manufacturing Operation. Mr. Pristupa gained extensive experience in managing Motorola’s world class manufacturing facilities and outsource partners across the globe. During his career at Motorola, Mr. Pristupa also led development engineering and business development activities. His work helped to drive the success of Motorola’s 2-Way Radio, Paging, Energy Systems, and Embedded Communications Groups. Comverge, Inc., The Power in Power Technology™, is a leading energy intelligence company recently recognized as one of Red Herring’s Top 100 Private Companies in North America for 2005. Comverge's investors include Nth Power, EnerTech Capital, Data Systems & Software, Inc. (OTCBB: DSSI), E.ON Venture Partners GmbH (NYSE: EON), Ridgewood Capital, Easton Hunt Capital Partners, L.P., Norsk Hydro Technology Ventures (NYSE: NHY), Rockport Capital Partners, and Shell Internet Ventures, an affiliate of the Royal Dutch/Shell Group of Companies (NYSE: RD). Comverge is represented across the world with offices and research facilities in Atlanta, Georgia; East Hanover, NJ; Newark, California; Pensacola, Florida; and Tel Aviv, Israel. Providing software and system solutions to over 500 clients in the electric utility industry, Comverge implements both integrated and outsourced solution based models for remote meter reading, distributed generation monitoring, and time-of-use billing and demand response, and direct or voluntary load control initiatives. For more information visit www.comverge.com. San Diego—October 3, 2005—One Voice Technologies, Inc. (OTCBB: ONEV), developer of 4th Generation voice solutions for the Telecom and Interactive Multimedia markets, today announced that their Media Center Communicator™ product is now available for purchase on Dell.com. Media Center Communicator adds voice-recognition to Windows XP Media Center allowing users to play music, view photos, record and playback live TV and much more using only their voice. For more information please visit http://www.onev.com/mcc. One Voice's Media Center Communicator is a complete in-home multimedia communications package for Microsoft Windows XP Media Center Edition 2005—enabling users to speak, using voice recognition, to play and view all their digital content from MP3 music, digital photos, slideshows, videos, live TV and much more! Media Center Communicator also comes with a suite of communications features to send and read E-mail, SMS text messaging to mobile phones, Instant Messaging (IM), full motion PC-to-PC audio and video chat and PC-to-Phone calling to any phone within the U.S. and Canada. Imagine walking into your family room and using your voice to tell your Media Center to play jazz music or play your favorite artist or album, play a photo slideshow, watch and record live TV, read and send E-mail, call to order a pizza or video chat or Instant Message with a friend. Media Center Communicator delivers on this vision today! For more information, please visit http://www.onev.com/mcc or for an online demonstration go to http://www.onev.com/videos/mccoverview.wmv. About One Voice Technologies, Inc.
One Voice Technologies, Inc. (OTCBB: ONEV) is the world's first developer of 4th Generation voice solutions for the Telecom and Interactive Multimedia markets. Our Intelligent Voice™ solutions employ revolutionary, patented technology that allows people to send messages (E-mail, SMS, Instant Messaging and paging), purchase products, get information and control devices - all by using their voice. 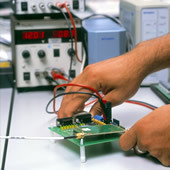 The company is headquartered in San Diego, California. For more information, please visit http://www.onev.com. Some of the statements made in this press release discuss future events and developments, including our future business strategy and our ability to generate revenue, income and cash flow, and should be considered forward-looking statements within the meaning of the Private Securities Litigation Reform Act of 1995. These “forward-looking” statements can generally be identified by words such as “expect,” “anticipate,” “believe,” “estimate,” “intend,” “plan,” and similar expressions. These statements involve a high degree of risk and uncertainty that exists in the Company's operations and business environment and are subject to change based on various factors that could cause actual Company results, performance, plans, goals and objectives to differ materially from those contemplated or implied in these forward-looking statements. Actual results may be different from anticipated results for a number of reasons, including the Company's new and uncertain business model, uncertainty regarding acceptance of the Company's products and services and the Company's limited operating history. Media Center Communicator is a trademark of One Voice Technologies, Inc.
Ottawa—Newspapers used to describe Michael Cowpland as a "flamboyant entrepreneur" or "the high-stepping high-tech wizard" who co-founded Mitel Networks and, later, Corel Corp. These days, however, it's a subdued Michael Cowpland who has returned to his Silicon Valley North roots in Nepean, near Ottawa, with a focus on wireless technology though his company Zim Corp. And he displays little of the high-octane leadership he had become famous for. Now he lets his market research and his new company's product be flamboyant instead. Zim's technology sounds like an unprepossessing idea for a niche market—a text-messaging system that allows computer users to send messages, individually or in bulk, to cellphones and wireless personal data assistants. But Mr. Cowpland is quick to point out that the market is huge. SMS.ac, the San Diego-based SMS portal, whose 30 million members send about 90 billion messages a month, has predicted that revenue from mobile data will reach $200-billion (U.S.) by 2010. In his view, even a small chunk of that market could result in hefty profits. Zim's business plan estimates there will be some two billion cellphones in use around the world by 2008. If Zim could nail down just a fraction of those users—say, four million people—it would result in $100-million in sales with a pre-tax profit of $70-million by 2008. And the payoff from short messaging is a lot greater than voice. Mr. Cowpland estimates that revenue from SMS runs at $350 per megabyte, as compared to $70 per megabyte for voice. That represents a huge revenue source for mobile operators. And Zim doesn't need to spend much money to market itself around the world. Mr. Cowpland has no need for offices in other cities because all his business is done over the Internet. He can go to any country without up-front costs. "The cash flow," he concludes simply, "is gorgeous." Zim is a small company with modest offices. It was founded in 1996 and engaged Mr. Cowpland as a board member in 2000. A year later he bought a controlling interest in the company and is now its president and CEO. Zim does not compare in size to Mitel or Corel, but Mr. Cowpland is quick to remind people that Mitel and Corel were tiny at the start as well. Moreover, Zim has the potential to be a much more successful concept. Although in the past he has been dismissed as too flashy and aggressive for his own good—Canadians do not like entrepreneurs to exhibit too much personal flair—one has to admit that Mitel and Corel have to thank him for much of their successes. And when Mr. Cowpland throws his weight behind a new idea, one has to pay attention. In fact, the key to the success of Zim is its small size, both as an application and as a company, which keeps costs down. There are four primary Zim products, launched only eight months ago. 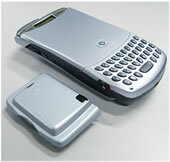 Zim SMS Chat can link the e-mail programs on computers to the short-message system on most cellphones. The operator of the computer can then engage a range of cellphone users in instant back-and-forth chats. The initiation of the chat, however, must come from the computer, not a cellphone user, thereby placing the application's emphasis on a "one-to-many" system, ideal for corporate updates, instant weather reports, stock quotes or, say, the co-ordination of emergency personnel. Zim SMS Mail is a desktop application that forwards e-mail to a cellphone. Zim SMS Mail Online is a Web-based wireless e-mail application that allows users to receive and reply to messages from multiple accounts. And Zim Two-Way SMS Paging is a simple paging system, ideal for work-force management or the co-ordination of employees in the field. In mid September, Zim and QuoteMedia Inc. also launched a mobile phone text messaging service to deliver financial market data through all major mobile operators in the U.S. and Canada. Called QUOTE, the new product is an SMS application that allows users to request stock market data through their cellphones by sending a text message to the short code "QUOTE" (78683) with specific ticker symbols of the stocks or stock market indexes they wish to follow. Users get immediate responses to their queries, with the option of also receiving updates three times a day, and they are billed 25 cents per text message. In addition to sending bulk and premium short messages, Mr. Cowpland sees Zim's technology as "bridging the gap" between the cellphone and the desktop computer, giving the cellphone user mobile office tools and location-based services as well. The CBC experimented with Zim a while ago sending updates via SMS about the Nokia Brier curling championships in Halifax, including live scores and playoff information. At first glance, Zim appears to be a fabulous spamming tool. But the company says that subscribers will be able to pick and choose which messages get through, so they won't find themselves swamped by spam. Zim's main competitor at the moment is Research in Motion, which almost owns the wildly popular wireless e-mail market. Instead of trying to duplicate RIM's system, Zim's idea is to use short messaging service technology to forward customers' e-mail to their cellular phones. Last year, Zim entered into an agreement with Magma Communications to just that, and hopes to sign similar service agreements with telecommunications carriers and Internet service providers around the world. But wireless e-mail, as important as it is for many people, is not a cost-effective technology, while Zim can tap into the SMS system, and exploit the micropayment system already in place for short messages. The European Union has recently authorized changes to cellphone-based payments for the equivalent of 25 cents, 50 cents or a dollar, much faster than credit-card payments. And the City of London, which charges 5 pounds to enter by car, allows the payment to be made by cellphone. Customers of Rogers Wireless can also download the free software from ZIM that links their cellphones to computer-based text messaging. The promise of profitability has not escaped the notice of a company as large as Zim is small: Microsoft. In late August, the software monolith entered the fray, offering its MSN Instant Messenger service for selected cellphones, a deal that is being made with Bell Mobility. Next to Microsoft's tentative step into the field of wireless chat, Zim looks like an old pro with a commanding lead. And it seems to be paying off too. Zim now handles about five million messages a month, enough for Mr. Cowpland to proudly announce in the spring that his company had grown 500 per cent over the previous year. With numbers like that, the once high-flying Mr. Cowpland doesn't need to be flamboyant any more. After reading several articles in your news letter from USA Mobility regarding their networks resilience and ability to operate in emergency conditions I think it is time for a reality check. I worked for PageMart/Weblink/Metrocall as a senior field technician from 3/98—1/2004. I can tell you that few of the paging sites had any source of emergency power backup. 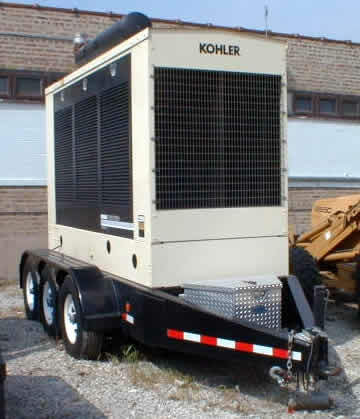 In fact there were numerous sites where emergency power was available, but was not utilized for the equipment because the company would not pay an additional monthly fee for generator maintenance, fuel, etc. When Isabel hit the Hampton Roads/Richmond area over 2/3's of Weblink's sites went down due to power outages. After two weeks had elapsed there were still sites that had not had power restored. Metrocall and Arch had similar experiences with their networks. Having a satellite based network can be an advantage over systems that utilize land lines, but they also have their own Achilles heel. The satellite dishes used at the paging sites are prone to damage from high winds, or becoming misaligned, rendering the site off the air. The frequencies used by the satellites are also prone to rain fade or complete loss of signal during inclement weather. While it is true that cellular/pcs installations have much lower ERP, they have many more sites than you find in the paging industry. The reason for the lower antenna height and ERP is to afford frequency reuse. 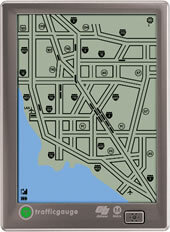 I would characterize the paging network in Norfolk/Richmond as too few sites, too far away. The bottom line is that the emergency communications possible with paging will not be realized until the paging companies build a network capable of operating on emergency power, that affords redundant means of communicating with the network. To state the possibilities is one thing, but it is another with what actually exists, and how much money the paging companies are willing to spend. Here's an example of the progress we've made in NM selling wireless sprinkler controls from Nighthawk. This is a press conference held last week with NM Governor Bill Richardson and our CEO, Jon Word. Subject: FW: ATSI: Relief Fund Update - Over $100k! Introducing Efficiency to Business since 1986. Subject: ATSI: Relief Fund Update - Over $100K! As many of you know the relief fund has surpassed the $100K mark! What an amazing accomplishment for our industry. We have received many letters and thank you notes from the front line agents that received donations from the fund. I will be sharing excerpts from them in the weeks to come, but one letter we received last week seems to sum up the sentiments of many. I debated on whether or not to publish it in it's entirety but after reading it a few times I decided it needed to be shared. I hope this brings a smile to everyone that donated to the fund. I know it did for me. Hello, my name is Heather Adams, and I work at Answer Plus in Pascagoula, MS! I am writing to you all to tell you thank you so much for the contribution. I think it's the nicest thing anyone has ever done for me! It's hard when you lose everything you have to your name, things that can never be replaced. But what you did is so very kind and heart filled. That will help me live somewhere until I get my home back. I unfortunately lived one block from the beach and got 6 feet of water in my home. Needless to say, I couldn't save anything at all! But I do have my life, and I thank God for that. And most of those things can be replaced. So again, Thank You all! You have very, very kind hearts and God will reward you all! Feel free to write me all of you! I am staying at a hotel but this is my parents address and they will get it to me if anyone decided to write. I don't think I can say thank you enough! Numerous individuals1a, b c, d have recently observed that paging worked well during the 9/11 disasters in New York City and Washington DC as well as during the three hurricanes that hit central Florida in 2004 and the Katrina/Rita emergencies in the Gulf Coast in 2005. Generally, it is acknowledged, paging, particularly two-way paging, outperformed virtually all other forms of communication during these urgent situations. In the belief that this superior performance is neither an accident nor a coincidence, but rather the direct consequence of a number of fundamental ReFLEX2 characteristics, this paper endeavors to describe the specific characteristics which allow ReFLEX to optimize the balance between functionality, cost and freedom from service interruption. As indicated in the references at the end of this paper, a number of explanations for this “ReFLEX Advantage” have been advanced by others and are restated here in the interest of unity. Cost Effectiveness—the system must make maximum use of existing infrastructure, resources, utilities and facilities thus to safeguard public investment. Many of the relative performance comments contained in the section above, regarding both ReFLEX and other forms of communication, were based on the experiences of “subscribers” to systems which are available to the general public and which are clearly less focused on the unique homeland security requirements than dedicated, private systems would be. Accordingly, this paper is focused on “private” systems dedicated to the needs of Homeland Security/First Responder organizations. Most importantly, although virtually any technology could be applied to private as well as public systems, the advantages and disadvantages of specific technologies remain essentially invariable regardless of the public/private application. Narrowband technologies, such as ReFLEX , require only narrowband backhaul support between base stations and the Central Network Operating Centers (NOCs). 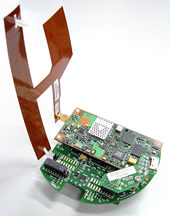 Thus, base stations can be, and most often are, supported by narrowband backhaul facilities, such as satellite, that are relatively resistant to interruption in the event of severe natural or manmade conditions (such as hurricanes or 9/11 events). 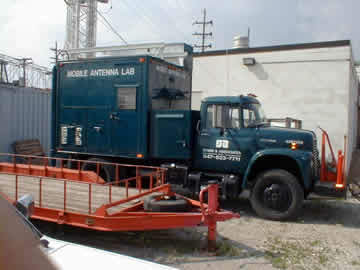 By way of contrast, as pointed out in a New York Times article of Sept 9, 2005, wideband technologies, such as cellular, require wideband backhaul facilities between cell sites and the serving switching center (Cellular Central Office) and cost considerations dictate that these are typically terrestrial (T1 lines, Fiber Optic lines etc.) that are inherently more vulnerable. 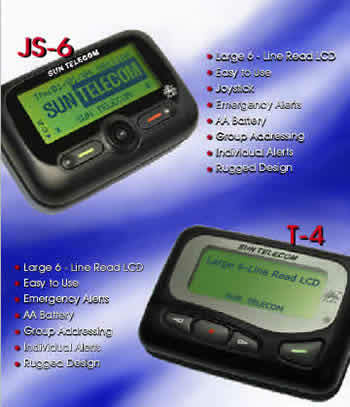 ReFLEX systems and keyboard equipped end-user devices are optimized for sending and receiving e-mail messages which tend to be routed via the Internet and facilities other than those used for voice telephone traffic and, as outlined above, it is the voice telephone network which tends to become overloaded during emergencies. 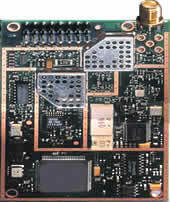 Cellular systems, conversely, are primarily voice devices dependant on the frequently overloaded voice networks. ReFLEX systems typically utilize multiple high power base station transmitters each with up to 3500 watts Effective Radiated Power (ERP) with antenna heights of 300 feet or more in a simulcast network configuration3. Also, the radio channels assigned to ReFLEX services by the FCC are in the 900 MHz range which, from a radio coverage and building penetration perspective, is highly idealized. 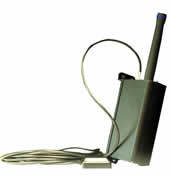 The simulcast networks used by ReFLEX provide simultaneous delivery of radio signals from several base station transmitters and the overlapping radio coverage produced by this high-power simulcast technique provides inherent redundancy in the event of the loss of one or more base stations, as well as wider coverage areas, increased average signal levels, and improved in-building penetration. ReFLEX systems use dedicated narrowband channels on which messages to individuals are transmitted sequentially. The radio coverage area in a ReFLEX system is, accordingly, a function of radio propagation factors including radio base station R.F. power levels, base receiver and transmitter antenna height, antenna gain, site location and terrain elevation along with several other classical radio propagation considerations. In all cases, however, ReFLEX coverage is totally independent of system traffic loading. If a ReFLEX device works once at a given location under any traffic loading condition, it will work in that location under all traffic loading conditions (light, moderate, very heavy, etc.). In contrast to ReFLEX systems, many cellular systems, as well as many wideband data systems, use a variation of spread spectrum communications technologies known as Code Division Multiple Access (CDMA) which shares a wideband channel amongst multiple simultaneous users. This sharing arrangement means that total available bandwidth is effectively divided among all users such that, as the number of simultaneous users increases, the bandwidth available to each user is reduced which, in many instances, results in “coverage shrinkage” and the premature termination of calls (often referred to as “dropped calls”). Consequently, a cellular phone or CDMA based data transceiving device which had historically worked well at a given location, may completely cease to work during heavy traffic periods which are certain to occur during a disaster. 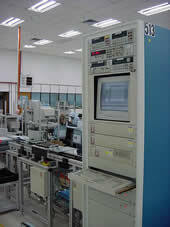 ReFLEX systems intrinsically operate in a “store and forward/delivery retry” mode which assures that multiple attempts will automatically be made to deliver both outbound and inbound messages (sometimes referred to as "assured delivery").These multiple delivery attempts are essentially invisible to and require no action by users and their ability to overcome failure of an initial delivery attempt cannot be matched by real-time systems such as cellular. In a cellular system, if an outbound or inbound call cannot be completed when initiated, the attempt has failed completely leaving the initiator no choice but to retry the call manually. During peak traffic periods, such as will occur during an emergency, frequent “retry” attempts can produce an “avalanching” phenomena which dramatically increase system traffic loading to leave cellular and other real-time systems totally “gridlocked” and useless. Stated differently, the Store & Forward ReFLEX operating mode tends to smooth the service demand peaks that are common during emergencies. While ReFLEX message delivery latency will be increased during emergencies, messages will be delivered in due coarse without aggravating or artificially increasing the traffic load. Conversely, cellular and other broadband systems, will exaggerate the normal peaks in demand for service which occur in any emergency resulting in gridlock and significant deterioration to the grade of service provided by the system. Most messaging systems generally operate on a “first in/first out” basis but homeland security organizations occasionally need to establish several levels of priority controlling the transmission of messages such that certain individuals receive messages before others. Multiple levels of priority can be established in ReFLEX systems with each user assigned a specific priority level. Most importantly, however, the Store & Forward ReFLEX operating mode assures that, when priority is invoked, although messages intended for the highest priority users will be transmitted first, all messages will be transmitted ultimately. On the other hand, in real-time systems such as cellular, if priority is invoked during peak traffic periods, such as will occur during an emergency, any attempt to call lower priority users will result in failed call attempts leaving initiators no choice but to retry their calls manually. Not only will this produce a very unacceptable grade of service for those users assigned lower priority, but, as stated earlier, frequent “retry” attempts can produce an “avalanching” phenomena increasing system traffic loading to leave cellular and other real-time systems totally “gridlocked” and useless. Although techniques have been suggested to assuage this issue within cellular services, priority service remains justifiably unpopular in cellular systems and has therefore rarely been implemented. ReFLEX is asynchronous and asymmetrical and thus well suited to handling the larger volumes of outbound data (from base stations to mobile user devices) compared to the smaller volume that typically originates from the users’ mobile devices. Also, the asymmetrical, store and forward nature of ReFLEX technology makes inbound and outbound transmissions independent of one another. Thus, a ReFLEX end-user device can receive outbound messages even if it is temporarily unable to reply to the received messages or to originate inbound messages (a capability which becomes similar to one-way paging). In many homeland security situations outbound transmissions contain the most urgently required information and, while two-way communication is always desirable, the worst-case ability to receive information even under adverse conditions is a distinct advantage. 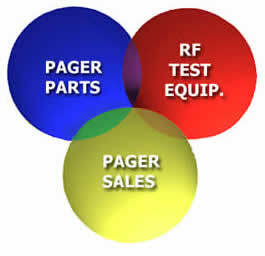 In contrast to ReFLEX systems, most cellular and wideband systems must establish bidirectional connectivity before communication can occur in either direction. The alternate system central control will advise the private system of the migration such that future communications to the relocated end-user device will be routed via the alternate system. Through background scanning capabilities, users can remain in communication if they move to an adjacent community, county, state or even to a more distant part of the country. 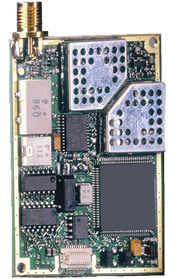 Narrowband PCS has demonstrated compelling benefits in terms of functionality, geographic coverage, in-building penetration, and the ability to support reliable delivery in difficult environments. It is positioned to be extremely helpful to emergency personnel for public safety and other homeland security applications through its wireless instant messaging, broadcast messaging, e-mail, and location capabilities. The inherent strengths of narrowband PCS features and functionality will provide an excellent means of communication as a primary or backup system for emergency personnel and homeland security. 2 ReFLEX is a registered trademark of Motorola, Inc.
Ron Mercer, Founder, and President of Global Fax Network Services Inc., (Global) is a pioneer in telecommunications engineering with more than 40 years of executive-level experience in both wireline and wireless telecommunications. 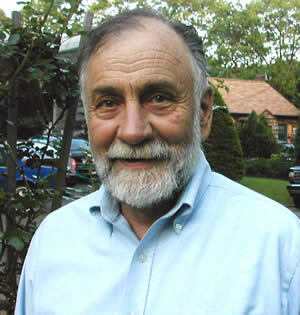 Founder and president of Kerygma Technologies, Inc. Founder and president of Acme Devices, Inc.
Colorado Springs is about to go unplugged. SkyTel Corp., a subsidiary of MCI, has reached terms with the city on a pilot program that will create a pair of wireless Internet networks in town starting next month. The lease agreement to install 35 wireless-access points—boxes—on the top of Colorado Springs Utilities light poles takes effect Saturday, and installation downtown and in the Chapel Hills region should begin by mid-October. Each of the two zones covers about two square miles with wireless boxes able to reach customers at a range of 200 to 1,700 square feet, depending on topography, foliage and building locations. Under the agreement, subscribers can get a wireless Internet connection from anywhere in the network zones, paying an hourly, daily or monthly rate. The downtown zone is centered on Tejon Street with service extending just past Platte Avenue to the north and Cimarron Avenue to the south, in roughly a rectangular shape with mostly business users. The northern zone, although meant to be a more equal split between businesses and residences than the downtown site, centers on North Academy Boulevard from south of Woodmen Road to near the intersection with I-25 and includes all of the Chapel Hills Mall. There will be 25 light-pole attachments downtown and 10 in Chapel Hills. SkyTel will pay Colorado Springs Utilities $434.35 a year for the use of the poles. It is the standard pole attachment rate of $12.41 per pole, per year according to Ed Martinez, the IT Services director for Colorado Springs Utilities. SkyTel has not yet set a price structure for its customers, either here or for the pilot program that is 10 days from launching in Lexington, Ky., but Deer said it will be competitive with other wireless options. There will be four pricing levels based on the sort of usage the customer wants. Typically, wireless service in the Colorado Springs area—utilizing dishes or cellular phone towers—is priced around $50 to $70 a month. In Intel’s last survey to determine the nation’s most “unwired” cities, Colorado Springs was ranked 15th—up from 20th in 2004. Local wireless hot spots included those at The Colorado College, Colorado Springs Airport, four Pikes Perk Coffee and Tea locations, Boulder Street Coffee, Starbucks cafes, Antlers Hilton hotel and some McDonald’s restaurants. SkyTel, which specializes largely in paging services, got into the wireless business this year. Now the Clinton, Miss., company is providing emergency Internet access in Louisiana and Mississippi, including for FEMA to process aid applications. As usual, I am very grateful for the contributions of articles and newsworthy information that keep this newsletter interesting. Please continue to share items of interest to the Wireless Messaging Community.